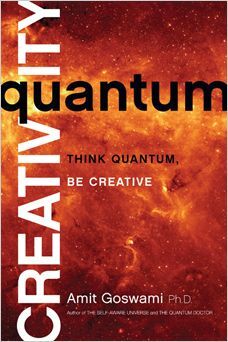 Book: “Quantum Creativity” by Amit Goswami, Ph.D.
First of all, I would recommend that you read this book over a period of time. It is the type of book where reading one or two chapters at once is enough. I read through the chapters fairly quickly and I believe I would have gotten more out of it if I had taken due time and consideration. This book does cover many of the quantum theories with some drawings, explanations and examples. I found that as I continued to read, the understanding on my part improved. I found the first chapter hard to get into but then found the second chapter more easily. The sections of the book include: Steps to Understanding Human Creativity, the Creative Process, Can Anyone be Creative?, New Paradigms in Old Creative Arenas, Spiritual Creativity, Bringing Creativity to the Center of Your Life. One of the most ways to get more creativity is “Do, be, do, be, do” which means doing something and then just being. 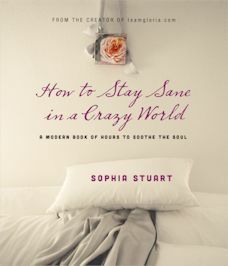 The author gives examples as to how this works with your creative part of your brain. You can work on writing a book which is a creative part of the brain but then you need to do something else that is not related like doing the dishes or cleaning up the house. You need to change up what you are doing so that your creative mind can continue to work on your problem, issue or creative pursuits while it is not directly focussed all the time on the same issue. The author brings through many Hindu and Buddhist analogies or story lines to understand and relate to the creative brain and how it operates. Overall, I found the book good but with some reservations. The author assumes you know and understand “Archetypes” as defined by Carl Jung. He does not give examples of Archetypes until page 132. For this reason, I recommend having a dictionary handy for difficult terminologies. As well, you can have the internet close at hand to get further explanations if you wish. When I read the book, I was not near a connected computer so all my references had to be taken from the text itself. This book is good for people who are willing to think about things. The book, as I have said, is complicated in places but it manages to offer another view of physics by talking about consciousness. I was not financially compensated for this post. I received the book from Hay House for review purposes. The opinions are completely my own based on my experience. This book is an exercise of love by the author. The author had been battling cancer. She set upon doing something positive and loving for herself. She used her photographs as inspiration for beauty and reminders of what can be done to take care of oneself while one was battling a disease. There are three parts of the book. They are in the format of “mornings, afternoons, and evenings.” The morning inspiration section contain short one liners indicating what you can do for yourself like “Dream about far-off lands.” The afternoon perspiration section has a bit more text about tips such as a “Secret Sisterhood.” And finally the last section on evenings exhalation deals with what you can do while battling an illness such as dealing with burnout and making your own kindness kit. I believe this book would find a good place on a coffee table so that people can peruse the various sections of the book. Otherwise, it might be a thoughtful gift to give to other people who are facing illness and disease. It might help them recover because it reminds people of the good things in life.